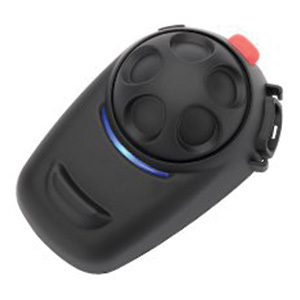 The 30K is the latest technology in compatible mesh and Blutooth 4.1 Technology, providing a advanced Noise control system with riders staying connected at a mile long range. 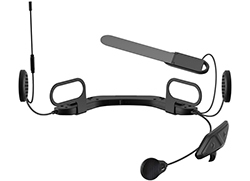 its versatility is also the latest in hardware design letting you seamlessly move through music, phone, radio, GPS navigation and intercomm features. This top of the line tech keeps you ahead of the curve with its sleek intuitive design and waterproof capabilities. Alongside this its new quick charge feature enables you to have 5 hours of consistant and uninterrupted usage on just 20 minutes of charge. 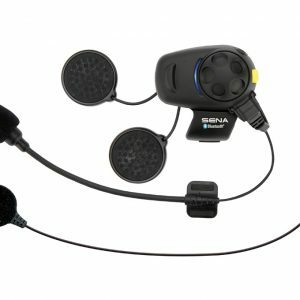 On full charge the 30K can use its Bluetooth Intercom for 13 hours and its mesh intercom for 8 Hours. The new Mesh system intelligently keeps the group connected at a range of 5 miles when with 5 or more riders in ideal terrain conditions. And the new Private mode means you can invite and communicate with up to 16 riders at a range of 1.2 miles while a infinite amount of guests can join to listen in to the group or a single main group rider / riders. 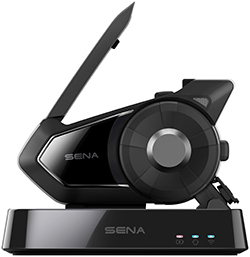 The Sena Smartphone App is available for users to download on both iPhone and Android smartphones to allow users to adjust the settings of their 30K Dual. • Talk time: Bluetooth 13 Hours / Mesh 8 Hours. 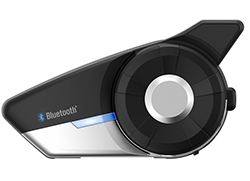 • Intercom: Bluetooth Intercom: working distance up to 2.0km (1.2 miles) in open terrain.